Don’t Sell your Sales Short! Early in my sales career I found that having someone on the hook was the most exciting emotion in business. The thought of a client saying yes, or signing a contract gave me a rush I have never, experienced before. Along with these emotions came a sudden case of brain pause which often caused me to throw all my formal training out the window and act on emotion alone. As I became more seasoned in my profession, I have since learned how to stay level during the entire process and stick to my winning formula throughout. Check out this article, and be aware of the most common pitfalls we make during the process!!! As the saying goes…To be the BEST you have to beat the BEST! Before beginning your battle to success here are a few tools to help your journey. Despite the rumors, no one reaches success without any help or fortunate turns of lucky event. As entrepreneurs, we already have the mindset that we can make it on our own. Right? This is the reason we are not happy working a 9-5 building a business that doesn’t reflect our goals/passion. That might be a great reason to become an entrepreneur but not the receipe to become a successful one. No matter how original your idea may be, there is always a blueprint (even if it is a generic version) to help you along the way. If no one has become successful, use their mistakes as your guidelines. Also, seek consultants or training documents for assistance. I recently read a well publicized article outlining the best and worst customer service companies in America. It was shocking to see the names at the bottom of the list were still very popular, and profitable organizations. How can this be? The experience of SquareBall Marketing has lead us to believe that Customer service is absent because it is no longer viewed as a critical pilar in a business model. However, we believe it is, now more than ever. As our culture continues to exploit the Internet by making it easier for us to communicate, a bad customer service experience will go viral in minutes. We know this to be true because there are companies whose sole function is to clean up on-line reviews for thousands of companies. Think about it…leave us a comment!!! Have you received exceptional customer service lately? Are you RUNNING a business or just owning one? Before you become knee deep in entrepreneurship assure yourself that you have this personality trait. Will you fail without it? Maybe. Maybe not. But it could make the difference between running/growing a successful business and just owning a business. COURAGE Ladies and Gentlemen! Courage is a must have when you are in control of your own destiny. According to the Encarta dictionary Courage is defined as: the ability to face danger,difficulty,uncertainty,or pain without being overcome by fear or being deflected from a chosen course of action. This definition is very uplifting,strong,and sounds like something Mufasa would say. Much like Simba,business owners cannot be afraid to make the tough decisions. Many business owners (especially small business owners) have perfected the ability to MANAGE the business,keep up with budgets, and work well with their team. That all is great,except where will the business be in the future? As an owner you must manage people yet Run the business. Decide where the company is regressing,what new areas of business can company the company benefit from,is the current direction good for the business? As these questions and others are answered you will truly become an entrepreneur. The bigger picture will show itself and true growth can take place for your business. Many times in sports, we hear people say, “a win is a win”. While in sports this is true and measurable, in the corporate hallways of many companies its not always this cut and dry. The two teams; the sales department, and the marketing department. The objectives are often the same for both departments, increase sales, win market share, customer loyalty etc. Most times they even report to the same management. While we encourage these two groups to work together, we must caution that a win for one is not always a win for the other thus creating confusion on how success is defined. The age old battle of sales vs. marketing is only getting hotter. We see the marketing team spending bags of money on TV ads, colorful brochures, and pens. Down the hall, the sales team is traveling to conferences, making deals and pushing products. When either don’t hit a number, sales blames marketing, and marketing blames sales. This is because a win for the marketing department is measured with terms such as, impressions, top of mind, brand recognition, views, clicks per minute, etc. The sales department uses different terms; commission, bonus, revenue growth, I’m sure you’ve heard them all. Customer service is one of the most neglected aspects of small business operations. The level of service we have come to expect has severely declined from recent years. It is our opinion that customer service training priorities have decreased while more cost cutting and cut-throat sales techniques have been introduced. The key that wins customers from a competitor is great customer service. Every step of the customer experience is another opportunity to make a impact. Bad or status quo customer service is something we come to expect and have prepared for as consumers. Think about this, your at the mall window shopping with the intent not to purchase anything. When you walk into a store the clerk says “is there anything I can help you find today?” Your response is trained and well rehearsed, ” no, I’m just looking”. The mistake here is that the clerk has been trained that if they ask that particular question they are exhibiting good customer service. While this may be acceptable, it will not win you customers. In today’s competitive times we must dig deeper, the root of bad customer service is simply unhappy employees. No matter the job they may hold, there is opportunity for your employees to be happy at work. Happy employees will naturally yield high customer service scores which will automatically win customers over. It does not always take a complicated approach to solve a complex issue, ask yourself, are my employees happy? If you struggle with the answer contact SquareBall Marketing for tips on increasing employee morale! These are none other than goals. Goals are set each year, quarter, monthly, you get the point. However, how are you efficiently completing these goals? How are your employees viewing their worth within the companies goals. Will effort being put forward be noticeable/appreciated by your consumers? These are all questions that need to be answered while developing you goals. How is this possible you ask….. Task list! 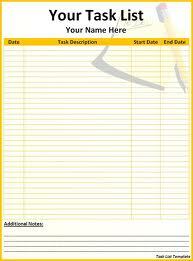 Task list are vital keys to organizational success. Too many times have our clients said to us, “We have set goals, but we can’t reach them or measure where we lost focus.” How are goals set with no standards? As in life, one can not find the man/woman of the dreams if they continue to go from relationship to relationship without evaluating what is needed to succeed in the next. Many business owners only record wins, losses, and “what is everyone else doing?” In business there is never a complete lost. You can always learn or reuse techniques. The key is to pay attention to the details and revise the plan of how to reach the goal successfully. If all else fails…..contact SquareBall Marketing. We are experts on getting you back on track.